Today many people in Australia have not heard of trachoma – a contagious bacterial eye infection that causes extreme inflammation, which can lead to blindness. Trachoma is a serious but preventable infection that is currently endemic in some remote indigenous communities. Soap Aid has proudly partnered with the WA Country Health Service and will provide support by providing soap and education resources as part of the ‘Squeaky Clean Kids’ Program an initiative aiming to reduce the incidence of infectious diseases in remote communities, specifically targeting trachoma infections. The ‘Squeaky Clean Kids’ program has been developed as part of WA Country Health Service’s WA Trachoma Control Program. It aims to strengthen environmental health and health promotion and build capacity in communities affected by trachoma. The goal is to reach 63 remote Aboriginal communities across the Kimberley, Pilbara, Midwest and Goldfields with populations of up to 19,500 across schools, households and community facilities. Soap Aid will be providing recycled soap and hygiene education resources to help reduce the spread of preventable infectious diseases and improve hygiene practices. – Reduce the incidence of Trachoma and other diseases (skin infection and diarrhoea) influenced by the environmental health determinants. 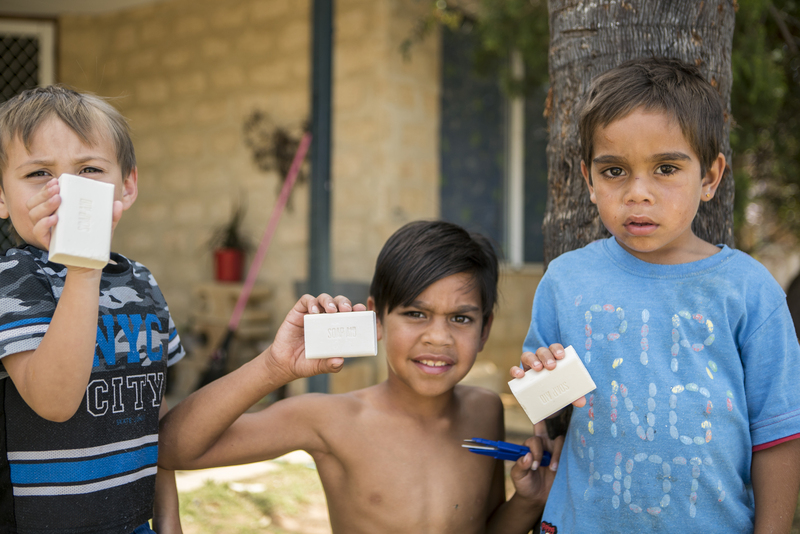 – Overcome a common barrier to good hygiene practices in remote Aboriginal communities, particularly the cost of soap, by providing a consistent supply of free soap to all households and facilities for a two-year period. – Provide health promotion resources to promote messages about hygiene, particularly hand and face washing to school children, to support the provision of free soap.